The Parker Family has been in business since 1998. Our beliefs have not changed much since we started business in Arizona, nearly 20 years ago. We believe in delivering both a product and service that is nothing short of quality. We live by these words and consider it one of the reasons we are still in business today. We take pride in the reputation we have built as a company and are happy to say that we have serviced many of our customers homes and businesses that started with us years ago. 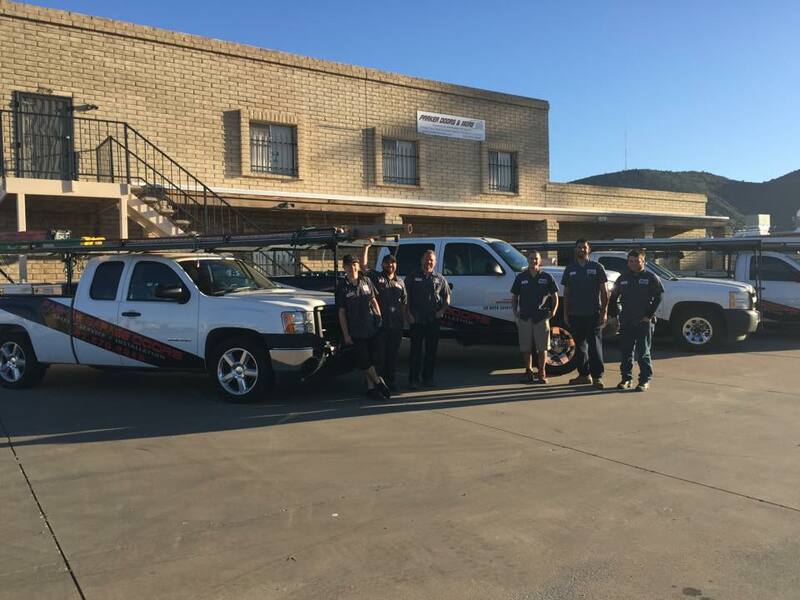 Our family business is a full service garage door company that specializes in all areas of garage doors, from custom garage doors to commercial steel doors, carport conversions and all types of service and repairs. A garage is not only a place to run your business, park your car or store your items, but a visual component that adds value to your property. With two locations in Phoenix and Lake Havasu City, we are able to better serve our customers in Havasu, Parker and Valley wide. We only work with reputable brands and manufacturers and offer warranties on many of our services. If you have a question, need an estimate on pricing a single repair or need a bid for a large commercial project, give us a call. We are available for same day service appointments, 24/7 emergency repairs and to answer your questions!